***1 OWNER***NO ACCIDENTS***HARD TOP***AUTOMATIC TRANSMISSION***HEATED LEATHER SEATS***GPS NAVIGATION***TOWING PACKAGE***BODY COLOR 3-PIECE HARDTOP***REMOTE START*** This immaculate Jeep Wrangler Unlimited with the Sahara package has had just ONE OWNER and was traded in to a new car dealer. It has never had any accidents and drives like new. 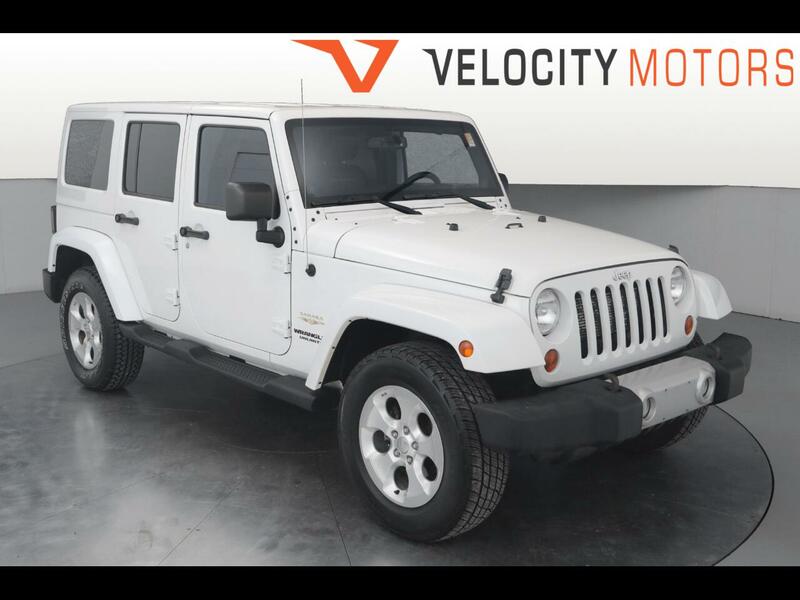 This Jeep had a sticker price when new of $39,385 and has all of the options you will want like GPS Navigation, body colored hard top that can come apart in 3 separate pieces with ease. It has heated leather seats that are in excellent condition and a remote starter for cold weather starts! We have fully inspected this Wrangler and it comes with 3 keys and a 6 month warranty!